The wait finally ends for those who own these handsets in India as Samsung has finally started rolling out the Galaxy S7 and S7 edge Oreo update in India. 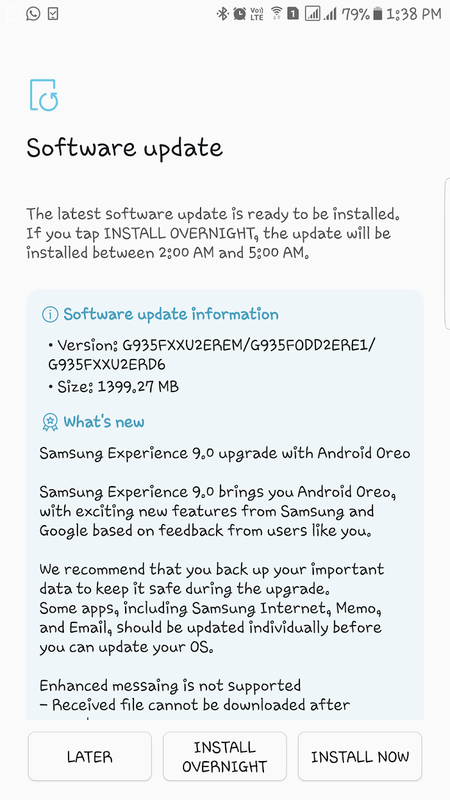 The update has so far been released in Samsung’s home country of South Korea as well as Sweden and other Nordic countries which got it just last week. It’s now time for users in India and the United Arab Emirates to get a taste of Oreo on their devices as well. Samsung is now rolling out firmware version G930FXXU2EREM and G935FXXU2EREM for the Galaxy S7 and the Galaxy S7 edge respectively. The firmware weighs in at 1.4GB which is to be expected from a major Android platform update. 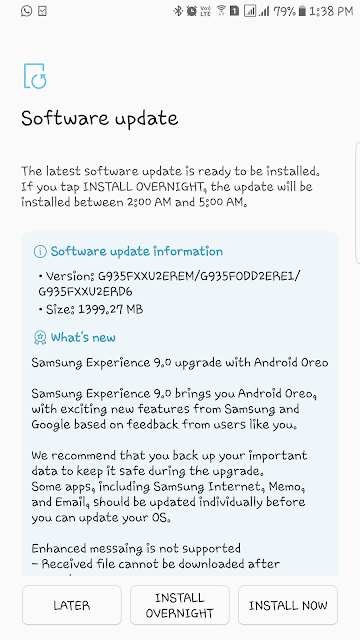 It brings all of the features that users have come to expect from Android 8.0 as well as Samsung Experience 9.0 which is the company’s own custom skin for Android that adds a variety of new features to the handsets as well. The latest firmware update for the Galaxy S7 and the Galaxy S7 edge being rolled out in India and the United Arab Emirates features the April 2018 security patch as well. It’s only a matter of time now before Samsung starts rolling out this update in other markets across the globe as well.